Too many lip kit mishaps. 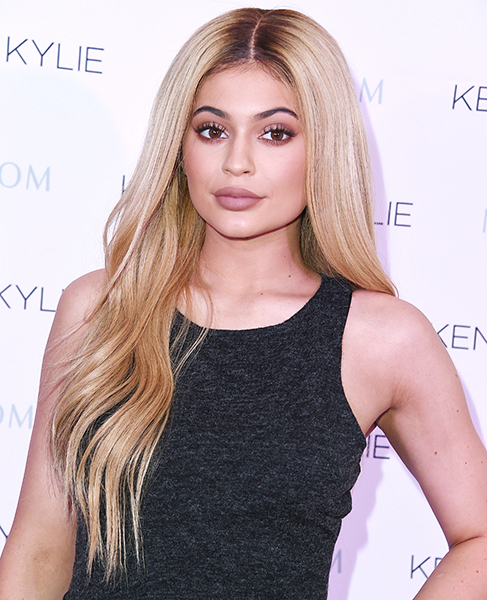 Kylie Jenner’s makeup company, Kylie Cosmetics, has received an “F” rating from the Better Business Bureau, but that’s not stopping her fans from snatching up the latest shades the second they go on sale. The business-reviewing organization gave the cosmetics line its lowest possible score after receiving at least 133 complaints in the last year, according to the website. The BBB also cited the length of time the business has been operating, five unresolved complaints and the failure to "resolve underlying causes of a pattern of complaints" as other reasons for the failing grade. Most of the problems stem from delivery issues or problems with the product, with many customers reporting that when they received their liner and lip gloss two-packs, the box was empty or missing part of their order. As Us Weekly previously reported, the in-demand $29 lip kits have been targeted by thieves, who likely sell the merchandise on sites such eBay, where some shades go for up to $100. Currently the lip kit boxes are branded with a pair of lips with dripping gloss and Kylie’s name in prominent black letters. The issues have been ongoing for several months. Back in May, the 18-year-old makeup mogul’s business had a “C” rating. Buyers had a variety of other problems as well, including receiving the wrong shades, orders shipped to the wrong address and credit cards charged for the product without an order confirmation. The youngest Jenner created the company in 2016 after her coveted lip kits — which she first released in November 2015 — consistently sold out in minutes each time they were restocked. The Kylie Cosmetics Instagram page now has almost 5 million followers who anxiously wait for new shades to be announced. Jenner is currently working on an expansion for even more beauty products, according to the company&apos;s website.